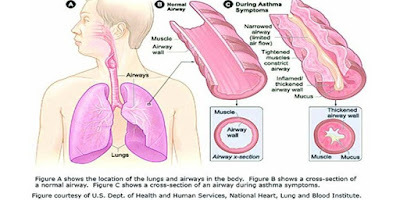 An Abuja-based physician , Dr Okezie Emenike, has said that shortness of breath experienced by some people could be an indication of allergic asthma. 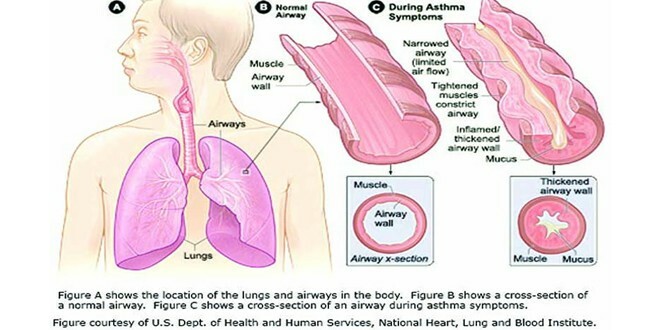 He told an in online news agency in Abuja on Wednesday, that allergic asthma was the type caused by allergy, which is also known as allergy induced- asthma. According to him, allergy asthma occurs when a patient’s immune system overreacts to the presence of some harmful substance known as an allergen. He said that allergic asthma was the most common type of asthma, which often times runs in the family with the history of asthma and other allergies, such as hay fever. He said that some people may develop breathing problems whenever they inhale allergens that usually occur when the airways swell as part of an allergic reaction. Emenike, however, attributed pollen, pet dander as well as dust as factors that could predispose one to allergic asthma. He also mentioned that shellfish, eggs, peanuts, fish and milk could trigger the development of the condition in some people. The medic stated that smoking, smoke from a fireplace and incense were some other causative factors to the condition.“Air pollution, cold air, strong chemical odours as well as perfumes could pose a risk of developing the condition. “Air fresheners, dusty work place, grasses and weeds could also irritate the body, which could lead to the condition,” he said. Besides, Emenike said that allergic asthma was not preventable, stating that avoiding substance that triggers it was key. He said that treating allergic asthma involves the treatment of allergy, the asthma and most times both. He said that the treatment also include antihistamine medication in order to reduce the immune systems allergic response. Emenike recommended that allergy shots be administered where allergy symptoms are more severe in order to treat the condition. He also suggested the use of inhalers in preventing asthma as well as the fast-acting inhaler used in the treatment of asthma symptom. He enjoined patients with the condition to use medications such as nasal sprays and eye drops to ease allergy symptoms in treating allergic asthma. The physician cautioned that allergic asthma could result to serious complications such as anaphylaxis. The complications, if left untreated, could cause life threatening conditions such as low blood pressure, among others.